Hey guys! It's been raining most of the time this week but I do hope your days weren't as gloomy as the weather. Mine on the other hand have been pretty much productive. I was able to rearrange my stuff, make an inventory of products I haven't used and update my newly established online shop, BeautyRx. If you have time to spare please take a look, hopefully you might see something you like. 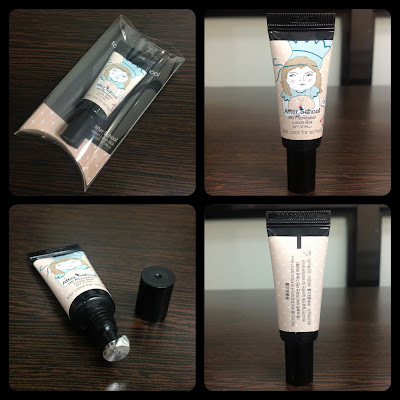 If you read my last post, you'd know that I recently got my July BDJ Box and of course the first sample I tried is a BB product made in Korea, Too Cool for School BB Foundation. The sample included in the box comes in a trial size tube with a twist off cap. The package didn't say how much product is in the tube but I'm guessing it's around 15 ml. The full size comes in a 40 ml plastic jar with a spatula underneath its twist off cap. The main difference between a sample and full size is that the latter comes with a concealer and highlighter incorporated in the bottle cap. I wish they did include those in the sample so we could see how they work with the BB Foundation. 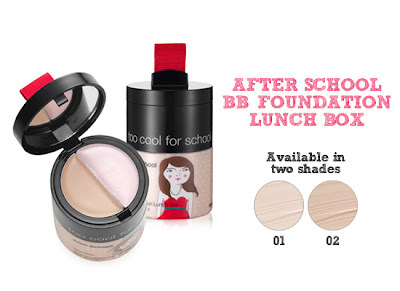 Too Cool for School BB Foundation comes in 2 varieties, #01 which gives a matte finish ideal for oily skin and #02 which offers a dewy look best suited for dry skin. The BB Foundation in my box is #01 intended for oily skin. I love that they sealed the tube to prevent spillage and that it has a pointed nozzle to dispense the cream easily. 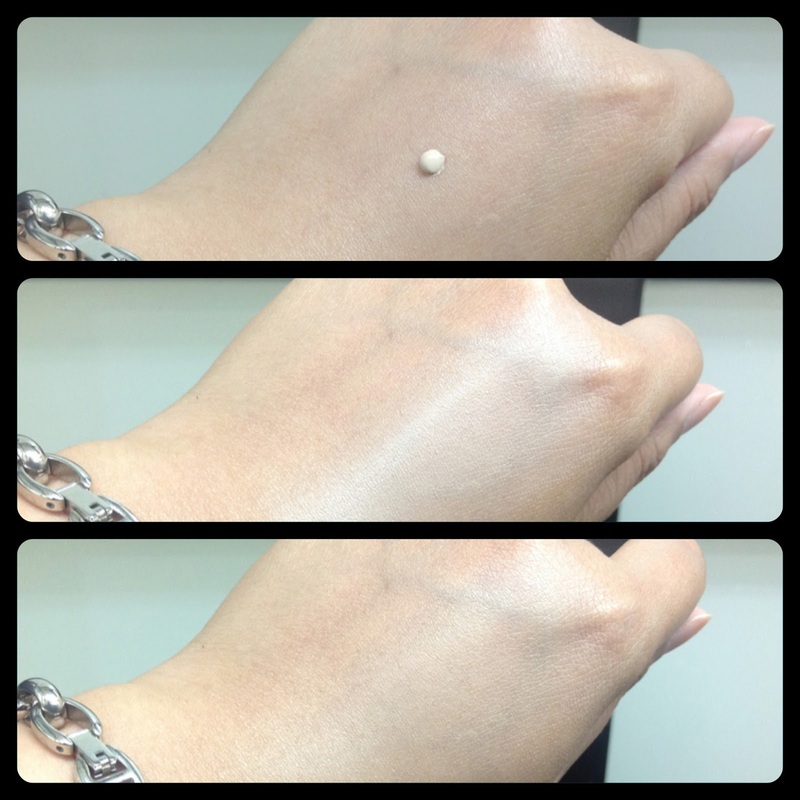 This BB Foundation has a subtle scent which fades almost instantly after application. It has a creamy texture and is a bit difficult to apply because it dries off quickly. Patting this with your finger pads is by far the most convenient way of applying it but using a flat top brush is much quicker. Above image shows you how it looks like when spread and blended. It does look fairer but it matches my face better than the back of my hand. It doesn't leave a white cast, instead it gives you fairer and glowing skin with a matte finish that you won't be needing a powder on top of it. It lasts for 4 to 6 hours without caking and looking greasy. You may notice your T-zone getting a little bit of shine in the middle of the day but a few dabs of oil control film or face powder are enough to fix it. This BB Foundation got me really interested in trying the other shade which gives a moisturized finish. I've always known I have oily combination skin type but when I had my skin assessed last year by Clinique, they said I'm a #2 which falls under the dry combination skin type. Despite that, I somehow think of my skin oily than dry and have always had that in mind when choosing skin care products. Well after trying this, I'll consider leaning towards moisturizing my skin more than trying to avoid it getting oily. This way I won't strip my skin with the moisture it really needs and hopefully get a better match when choosing skin care products next time. Overall, I love this BB Foundation in terms of consistency, shade and finish. I do recommend it to those with oily skin because it can really give you that gorgeous matte finish and control oiliness throughout the day. If you have dry skin, you may want to try the other variety, #02 which gives a more moisturized finish. I won't be buying the same shade, instead I'll give #02 a try. Who knows, it just might make it to my top rated BB products.